Juventus have joined the pursuit for Arsenal midfielder Aaron Ramsey, with the Italian champions set to face Liverpool and Manchester United for the Wales international. 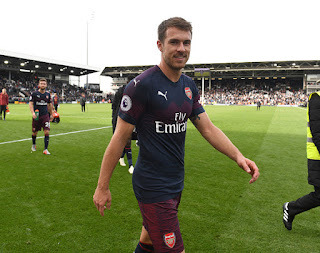 Ramsey current deal at the Emirates Stadium will expire at the end of this season.Talks between the two parties over an extension broke down last month, and it look like the midfielder is heading for a move away from the Gunners. Liverpool and United have both been shown interest in the Welshman, but according to report, Juventus are also very much in the race. 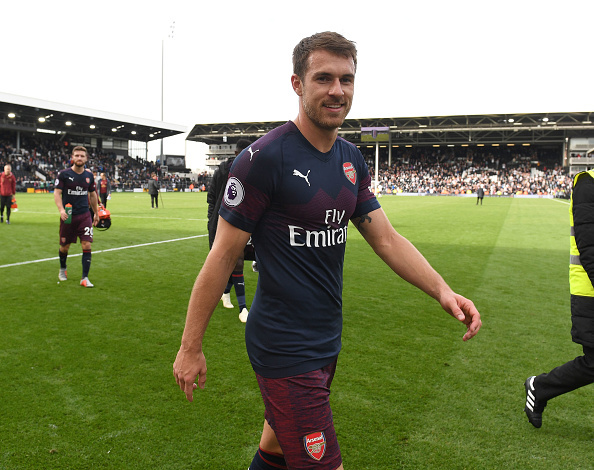 The same report also revealed that Juventus will approach Ramsey with a contract offer at the start of 2019. Ramsey is closing on 350 appearances for Arsenal in all competitions following a 2008 move from Cardiff City.